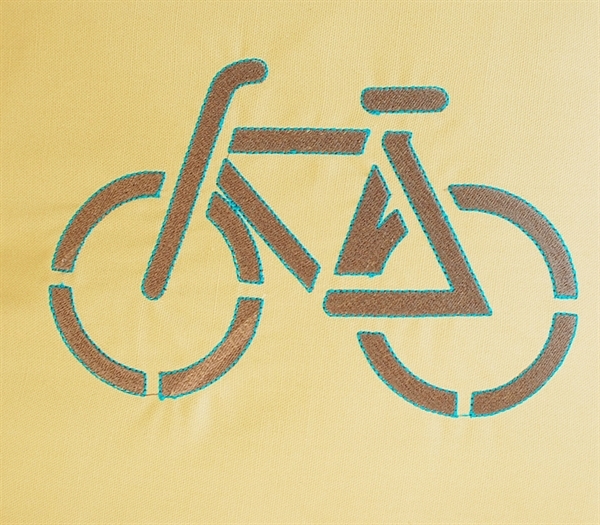 Bicycle design would look great on t-shirts, tote bags, and even pillows. 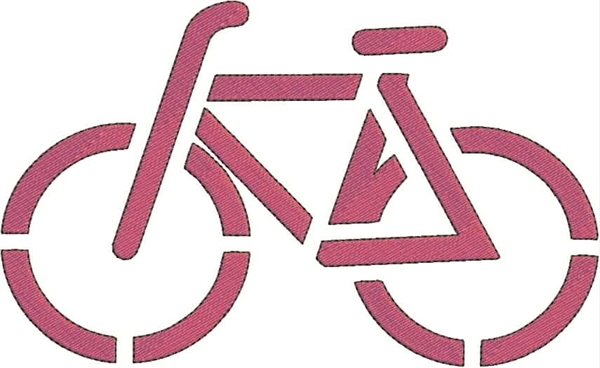 The bicycle is stitched out in one color and outlined in another color for definition. 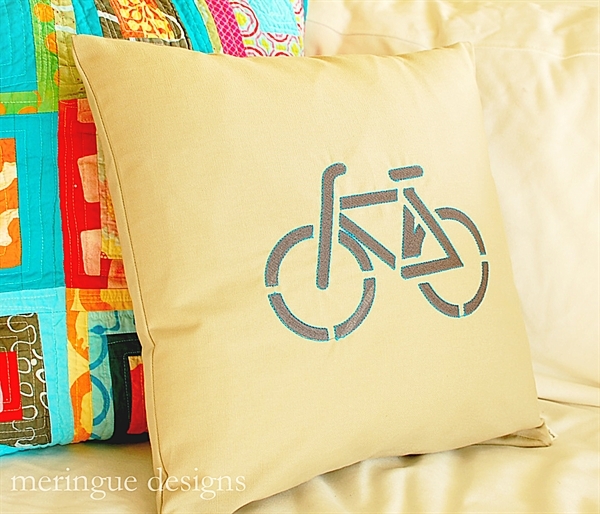 Pillow pictured is 16"x16" with the large design. 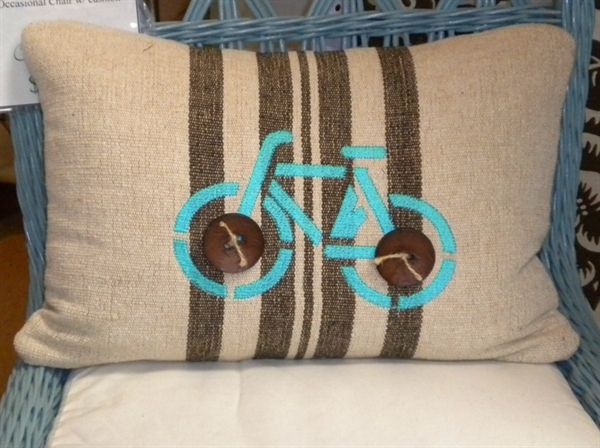 last photo is courtesy of a fabulous customer, Susan H.